ONGC sportspersons, both on roll and scholarship gave an outstanding performance by bagging 15 medals including three Gold , seven silver and five bronze at the recently concluded Asian Games in Jakarta. This is the largest contribution by any corporate to the overall Indian medal tally of 69 at Asiad 2018 and also the highest number of medals won by ONGCians in Asian Games since 2006. Sharing his immense happiness on this achievement, Shashi Shanker, CMD, ONGC said “Sports is an important indicator of a nation’s growth and development. ONGC, as a responsible corporate citizen has always been committed towards development of sports. It is heartening to see the dedication of our sportspersons who have overcome all challenges to succeed at the international level and ONGC is proud to be a part of this success story”. “India has a huge pool of sporting talents and once nurtured properly, they become invincible. At ONGC we always support and nurture talents to ensure that the performance level is raised at the highest level” he added. ONGC’s Apurvi Chandela opened India’s tally, with a bronze in 10 m air rifle. She was followed by Ankita Raina, India’s No. 1 seed who secured a bronze in Women Singles Tennis to become India’s second female player to obtain a medal. Fifteen year old Shardul Vihan, who is on a ONGC scholarship gave a spectacular performance to clinch silver in the Men’s Double Trap event. Ace shooter, Heena Sidhu secured bronze in 10 m air pistol. World Track Champion and ONGC’s scholarship athlete Hima Das secured silver in Womens 400m. She also secured silver in 4X400m Mixed Relay and gold in 4X400m Women Relay along with ONGCian MR Poovamma. ONGC’s Dharun Ayyasamy bagged two silver medals in Men’s 400m hurdles and Men’s 4X400 Relay. In archery, ONGC’s scholarship stars, Jyothi Surekha and Rajat Chauhan clinched silver in Women’s Compound Team & Men’s Compound Team events respectively. In table tennis, ONGC trio of A Amalraj, G Sathiyan and Harmeet Desai won bronze and scripted history with the first ever medal for India in the sport at the Asiad. ONGCian Arpinder Singh clinched India’s first gold in Triple Jump after a span of 48 years, while 21 year old ONGC scholarship heptathlete Swapna Burman bagged gold after a grueling 7 events at the Asiad. ONGCian Mandeep Singh, who is part of the Indian Hockey Team rounded up ONGC’s heist with a Bronze in Mens Hockey. 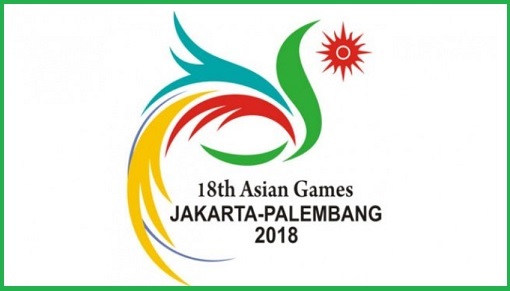 Thirty-eight ONGC sportspersons are in the Indian contingent for the Jakarta Asiad, the biggest participation from corporate India. Today, ONGC has 40 national awardees in the organization (Padma Bhushan – 1, Khel Ratna – 1, Padma Shri – 3, Arjuna – 34 & Dhyanchand Award – 1). In the recently held Common Wealth Games 2018 at Gold Coast, Australia, ONGC sports person bagged 13 medals including five gold, three silver and five bronze, contributing to the 66 medal tally for India.